Best Place, Price, Breakfast and Services!!! Pay for guesthouse price but get services like hotel. You can enjoy our variety of free breakfast changing menu every day. Our location is near Grand Palace (10 min. 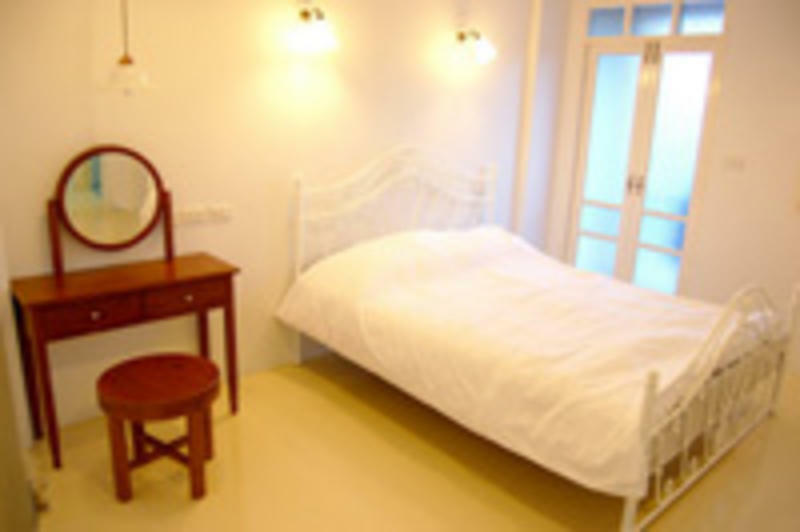 by bus) & near Khaosan Road (10 min. by walk). So, you can have a nice sleep without noise from clubs and bars. Moreover, our rooms are daily clean with full facilities such as refrigerator, television, warm water, and free wi-fi. Newly built Hostel with superb quality in terms of cleanness, information service, friendliness, and full facilities. Our location is at the middle of town. It will take 10-15 minutes to Khaosan Road by walk and 10 minutes to Grand Palace by bus. Please tell a taxi driver to drive you to Samsean Road Soi 6 (Tha-non Sam-sean Soi Hok) Soi means a small road that separates from the main road. This Soi is located on the left of the driving lane. After turning left into Soi Samsean 6, the taxi driver should drive until the intersection and turn left again. Our place will be on your right hand side. Taxi fee is what shows on the meter plus express way fee from the airport and 50 baht more for airport fee. You may take Airport Bus Express Route AE2 to Democracy Monument or Khaosan Road at the price of 150 baht per person and then take taxi to The Roof View by showing a thai-language map that we provide to a taxi driver. The cost of taking taxi will be between 40-50 baht.